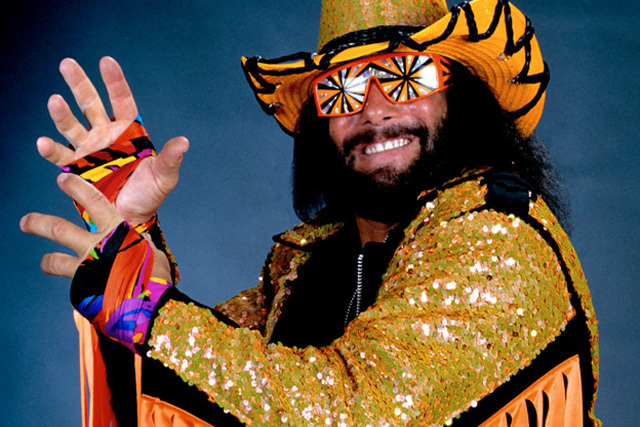 Wrestling legend Macho Man Randy Savage passed away this morning. He was 58. Randy's brother, Lanny Poffo, told TMZ that he suffered a heart attack while he was behind the wheel around 9:25 AM ... and lost control of his vehicle. According to authorities, Savage was driving his 2009 Jeep Wrangler when he veered across a concrete median ... through oncoming traffic ... and "collided head-on with a tree." 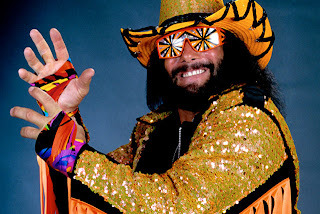 Macho Man was a permanent fixture in a lot of our childhood memories. I remember eating cereal and and watching wrestling in my pj's on Saturday mornings. My cousin and I would get in heated debate over who was better between Macho Man, Hulk Hogan and Koko B. Ware. I was a die hard Hulkamaniac but I loved Lady Elizabeth and I liked screaming "Ooooooh Yeaahhhhh" at the top of my lungs! Lol. He will be throughly missed. R.I.P.